I have seen the demo. I have read the article and I would say this will be a great disruption in the gaming industry. What if you could play your game across your mobile device, a PC and TV without interruption and continuously? No need to carry that console just connect. Introducing Google Stadia. This is not a box like the usual consoles but a new technology more similar to Netflix. Watch the video below and you will see an Assassin's Creed Odyssey video, now with a Play Now video. Once that was pressed, the game was running in less than five seconds. Googler 'Khaled' then swapped from phone to laptop to PC to TV with no interruption, the same game just kept going. Google Stadia will launch in 2019 in the US, Canada, UK and "most of Europe." It will make available to you blockbuster games that you can stream on any device, even your phone. Will this be something that could put the PS4 or Xbox One out of business? 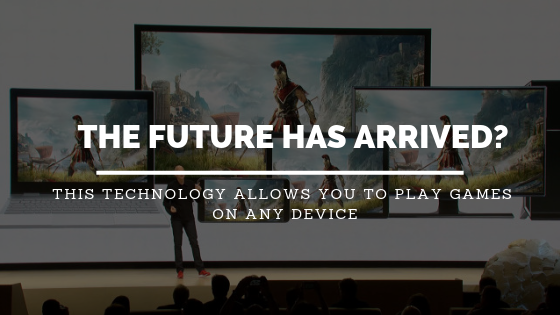 What games will be available on Google Stadia? So far the games that are available already for one is Assassin's Creed Odyssey. More games will be available in the next few weeks at the official Stadia store site. Current blockbuster games according to game developers will only took a few weeks to get their games running on Stadia. Amazingly these games can run at 4K with HDR and at 60 frames per second. Note however that 4K HDR at 60 FPS is dependent on your bandwidth. Gameplay experience may vary based on the quality of internet connection." What do you think of Google Stadia? Are you as excited as we are?